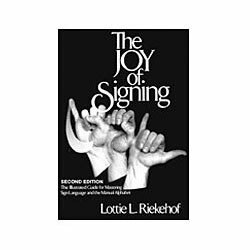 The Joy of Signing is one of the most comprehensive guides available for mastering the current basic signs used to communicate with deaf people using English or American Sign Language. It provides the basic vocabulary needed for persons entering interpreter training programs. Over 1500 signs have been clearly illustrated in this guide and are grouped by chapter into categories. 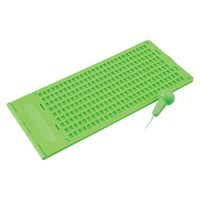 Thic book comes with line drawings and step-by-step descriptions of hand positions and movements. You can find a helpful and interesting information about origins of signs and their correct usage in context.